On Christmas Eve morning 1933, the spiritual leader of Armenians in America, Archbishop Ghevont Tourian, is stabbed to death as he begins Sunday services in a New York City church. His infamous murder is witnessed by hundreds of parishioners -- among them, a newspaper reporter named Tom Peterson. The next day, this story is splashed across the front page of every major daily in Manhattan. And it's no wonder. Not since the assassination of Thomas Becket has such a high-ranking religious figure been slain in a house of worship. This gruesome homicide shatters the Armenian community and confounds the police. Was it a terrorist attack to silence a political adversary, a KGB plot to discredit anti-communists in America, or simply a tragic turn in an ancient, bitter dispute? 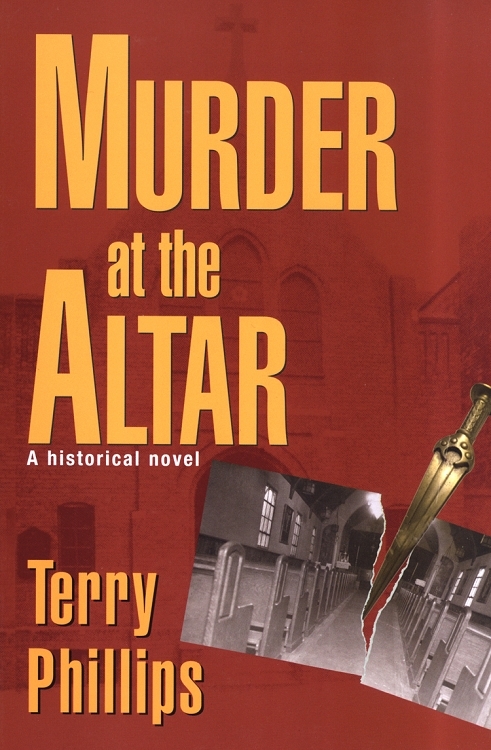 Murder at the Altar is a work of historical fiction, although it might more accurately be called dramatized history. Much of the text is based on interviews with survivors, court transcripts and newly declassified FBI files. The book also includes actual newspaper articles and previously unpublished photos to further enhance the story.